An innocent Fremantle couple wrongfully tasered by police have won their legal battle against the WA Government for more than $1.1 million in compensation. 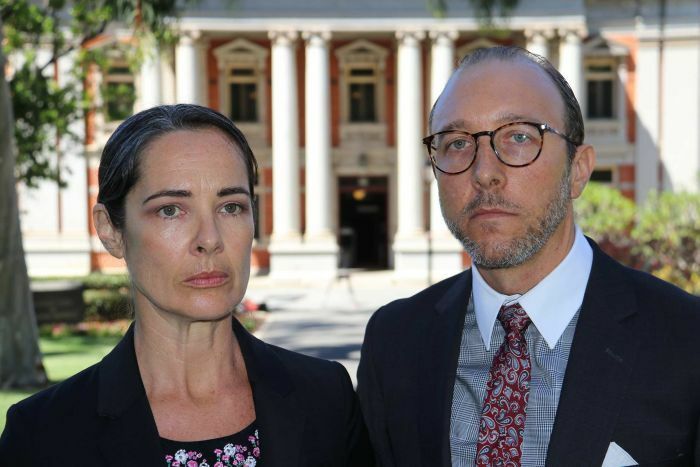 Law professor Robert Cunningham and his wife Catherine Atoms have welcomed a decision by the WA Supreme Court of Appeal to dismiss an appeal by the Government. The charges were later dismissed, but the couple took civil action against the Government and three police officers. Dr Cunningham and Ms Atoms said their quest for justice had been an expensive and gruelling ordeal. "It will remain a costly exercise and a great concern to Western Australian citizens if the state's role in justice and the rule of law is consigned only to civil procedures," Dr Cunningham said. Ms Atoms highlighted their problems in trying to seek repercussions for the three officers who tasered them. "We should focus on building communities and keeping harmless people out of reach of the criminal justice system." The damages were first awarded two years ago by Justice Felicity Davis in a District Court case. But the appeal by the Government over a point of law, determining whether the government or police were liable when police behaved maliciously, put the compensation payment on hold. The appeal judgment found the Government was liable for the full amount of damages. It marks a rare victory for the couple, who have tirelessly worked for many years to have the police officers brought to justice. An internal police investigation cleared the officers of wrongdoing and the Corruption and Crime Commission has refused to reopen an investigation. The couple's lawyer, Maurice Blackburn principal Phil Gleeson, said he hoped the Government and police officers would accept the court's decision. "After so many years trying to resolve this matter, it can only be hoped that the defendants will now accept the court's decision and allow my clients to move on with their lives," he said. "They only took on the civil suit after many years of trying to have authorities investigate and address their wrongful arrest and the police behaviour on that night." "The State wanted to determine a legal principle," he said. "Now that has been determined, the case is over and they will get the money they were awarded by the court.". bravo. the gov't now must put a lien on the cops to collect their payment. not just for the $, but to send a message. Part of the settlement should have been the permission for the couple to Taser and incarcerate those responsible. As it is the state (taxpayers) will suffer loss and the individuals will walk away laughing. The least that should happen is that the individuals assets should be used to mitigate the states losses.